“My mother-in-law, Mary Devonshire, was Mistress of the Robes to the Queen from 1953 to 1967. Tall and beautiful, she looked magnificent when dressed for a grand occasion. The big tiara suited her perfectly and anyone who saw her in close attendance on the young Queen at the coronation in 1953 will remember the perfection of her bearing on that famous day. In the course of her duties, which included formal banquets for visiting heads of state and other ceremonial occasions, she used to fetch the jewels from the bank stowed in a Marks & Spencer carrier bag. 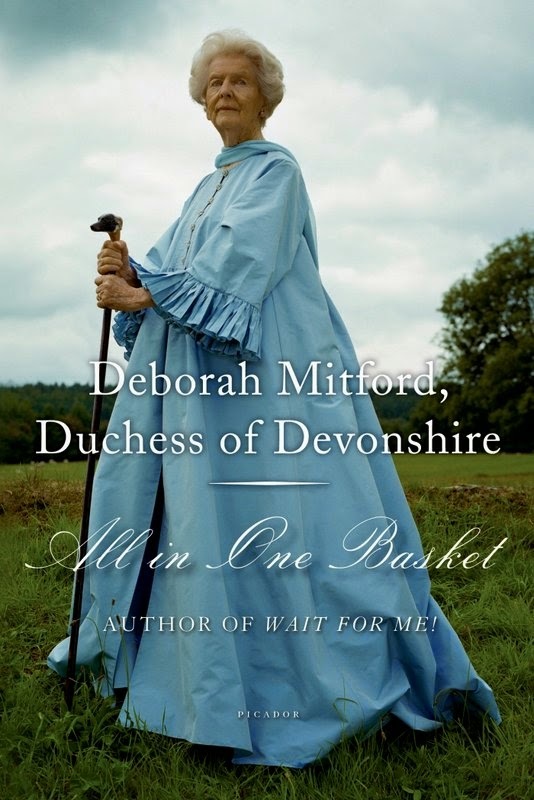 —Deborah Mitford, the Dowager Duchess of Devonshire, All in One Basket. 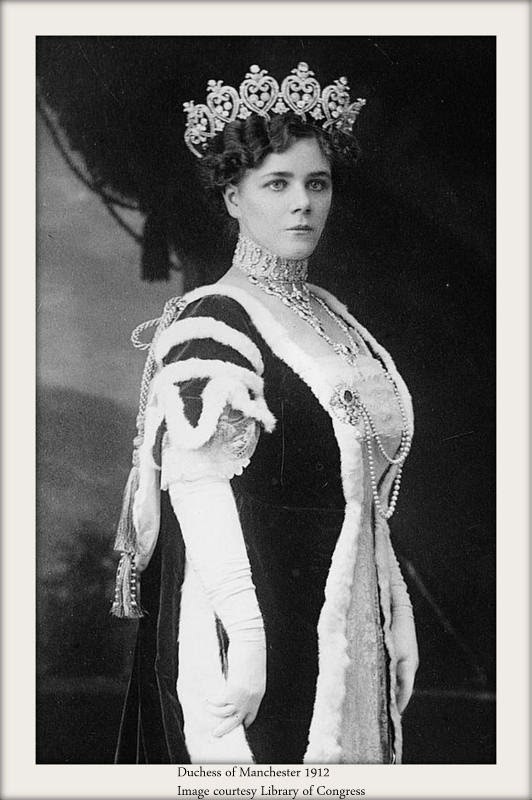 Image at right is the Duchess of Manchester (standing very straight, indeed) in February 1912, courtesy Library of Congress Prints and Photographs Division Washington, D.C. 20540 USA.